The perfect size keepsake music box to send to someone who has lost their father. . Measures 8X6X3. 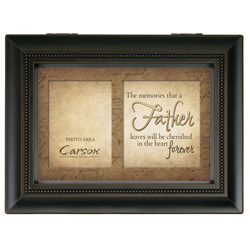 There is also a place to hold a special wallet size photo. 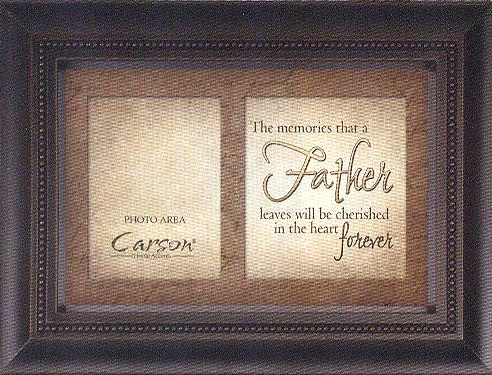 Tune is Amazing Grace.The top of the music box reads, The memories that a father leaves will be cherished in the heart forever.